Createspace Independent Publishing Platform, 9781507580011, 150pp. Connection is the key to joyful parenting and raising emotionally healthy, responsible kids. Make a positive transformation in your home as you let go of fear-based techniques and embrace the philosophy of positive parenting. 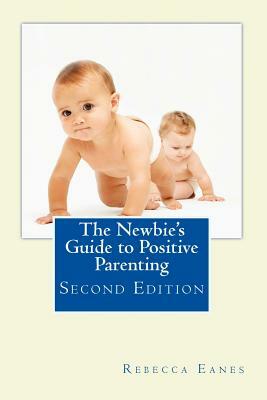 Filled with practical examples, personal stories, and nuggets of hard-earned wisdom, The Newbie's Guide to Positive Parenting has everything you need to change your parenting paradigm and enrich your family life. If you are desperately missing the close bond you once had with your child, if your days are filled with tears and frustration, this book is for you. The relationships we build with our children last a lifetime. Ultimately, love is the only leverage we have with our kids. Fear-based parenting only works as long as it can be physically or emotionally enforced, but love is a more effective motivator over time. Through being kind and firm, consistent and empathetic, we allow our children optimal development. When the child-rearing is done, the loving bond you have built is what will make your relationship with your adult child fruitful and enjoyable. Positive parenting keeps that relationship intact while teaching and guiding your child to his or her fullest potential. Rebecca Eanes is the bestselling author of Positive Parenting: An Essential Guide, founder of Positive-parents.org, and creator of the Facebook community Positive Parenting: Toddlers and Beyond. Rebecca has also co-authored the book, Positive Parenting in Action: The How-To Guide to Putting Positive Parenting Principles into Action in Early Childhood, with Laura Ling. She is the grateful mother to two boys.